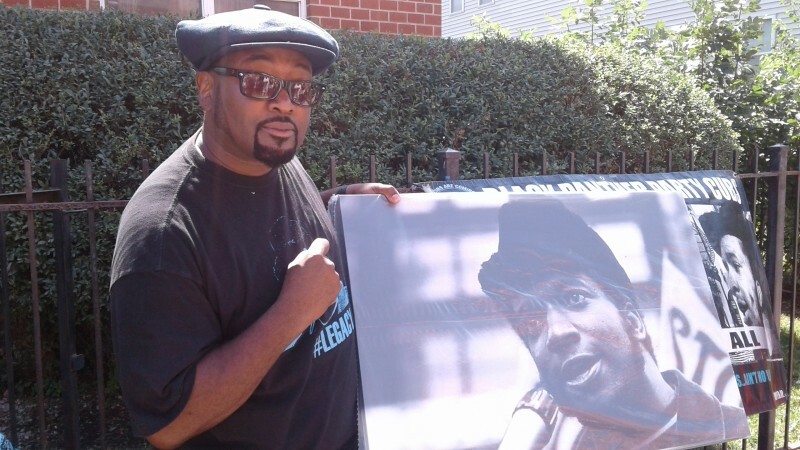 Black Panther Party leader honored at Chicago Streetz Party | Fight Back! Chicago, IL - The memory of murdered Illinois Black Panther Party Chairman Fred Hampton, Sr. was marked at a “Streetz Party,” August 30, at 2337 W. Chairman Fred Hampton Way (also known as Monroe Street), the site of his martyrdom. Chairman Fred Hampton, Sr. would have been 70 years old on August 30 of this year. To mark his birthday, Chairman Fred Jr., Comrade Mother Akua Njeri, and the Black Panther Party Cubs organized the event, which opened with a libation, a minute of silence and a clenched fist salute for the young revolutionary leader. Chairman Fred Hampton, Sr. was assassinated by state forces early in the morning of Dec. 4, 1969, along with Defense Captain Mark Clark. This year's Streetz Party was special because it featured the grand opening of the Chairman Fred Hampton Memorial Museum in Maywood, Illinois, at the house where the chairman grew up. More information is available at savethehamptonhouse.org.